In April of '59, when Castro had been in power for some two months, Ken, on assignment for the magazine Holiday, went to Cuba to write about it and I went along too. Ken was eager to meet Castro. In ousting the corrupt Batista regime, with its reign of terror and its ties to the Mafia, Castro was a hero to a large number of Americans and Europeans. We would be seeing Hemingway too, at his estate in a suburb of Havana. Having met him in Spain and again in New York, Ken asked if we could visit and he invited us to lunch upon our arrival. 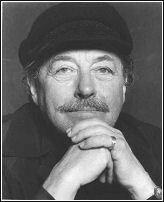 That Tennessee Williams would be in Havana at the same time was unforeseen. We stumbled across him quite by accident when we were gawking around the famous Hotel Nacional. In the late 50s and at the beginning of the 60s I knew both Tenn and Hem (Tenn better and longer than Hem). I observed them closely, listened to them carefully and wrote it all down afterwards. In the dry heat of a Spanish summer I ran into them at bullrings and at bars where Hem drank vin rosé and Tenn dry martinis. I met them in luxurious hotels like the Palace in Madrid, the Colón in Barcelona and the Miramar in Malaga - though never at the same time - and I sat with them in the best restaurants. Tenn was often alone; Hem was always surrounded by an entourage. With one exception, they never met. No two writers living at the same time and sharing equal fame and celebrity were less alike in their work and their personas than Ernest Hemingway and Tennessee Williams, the yang and yin of American letters. The genius of Hemingway flared brightest when exalting his characters' hard-won self-controlled courage; the genius of Tennessee, when exposing his characters' nerve-wracked, out-of-control terrors. One was master of the stiff upper lip, the other of the lip that quivers and the soul that quakes. Heart-wrenchingly, Hemingway wrote of grace under pressure; heartbreakingly, Tennessee wrote of disgrace under pressure. The world still knows what is meant by a Hemingway hero and a Tennessee Williams heroine (and writers in particular still know what it is like to fall under their influence). Time has not dated them. One reason for this may lie in Max Beerbohm's assertion that "realistic figures perish necessarily with the generation in which they were created, and their place is taken by the generation which supervenes. But romantic figures belong to no period and time does not dissolve them." He might have been talking about Jake Barnes and Blanche Du Bois, or Nick Adams or Amanda Wingfield, or any number of either authors' romantic creations. Looking over the last half of the 20th century, these twin peaks in literature, Hem and Tenn, seem to tower so high above others as to suggest that their volcanic eruptions have flattened the field. What writer alive today will inspire contests in newspapers and magazines all over America, year after year, with prizes for the best imitation of his style decades after his death? We cannot get enough of them. Biography after biography uncovers their secrets, rakes them over like dead leaves to find more secrets below. Their illness-wracked final years, their numerous hospitalisations, their increased pill and booze intake: all raised questions of their sanity as well as their physical ailments. Their tragic endings - Hem in suicide, Tenn choking to death on the cap of an eye-drop bottle - contribute rather than detract from their legends, for we know they were the real thing. Hem was an impressive six-footer, Tenn barely five foot seven. Hem's eyes looked directly into yours when he conversed, while Tenn's slid over you and then favoured the middle distance. Hem tended to kiss and snuggle you in a taxi; Tenn put his hand over yours when he sensed you needed it. I first met Hem in Madrid when we were invited by George Plimpton to a luncheon party he was giving for him. Hemingway sat at the centre of a long table and held court. Such was the potency of his presence and the skill of his storytelling that we all - about 14 of us - sat in a happy mesmerised silence. With the arrival of coffee and brandy George began to rearrange the guests to give Hemingway fresh partners. I had been sitting a safe five seats away when George approached to say he was putting me next to the great man and hurriedly whispered that if he called me "daughter" I would be in, but I must respond by calling him "Papa". My quick rebellious feelings - this is too silly! - vanished the moment I found myself next to him, looking into his watery, somehow pleading eyes. Straightaway I entered into his aura. Nevertheless I found Hemingway's voice very much at odds with his persona. It was a light voice, pitched rather high, with flat suburban Midwestern pronunciations unchanged from childhood. How further to define it? The word "coddled" comes to mind. A voice cushioned against raw nature by good plumbing, warm clothes, hot food and worried mothers - not what you expected to issue from his monumental build. From such an edifice you expected nothing less than the thundering sonorities of Orson Welles. Tennessee's voice, on the other hand, with its supple, insinuating Delta rhythms, perfectly expressed his persona. Echoes of it would stay in my ear after an evening in his company, and before falling asleep that night I would hear its sinuous sounds like waves splashing against some distant shore. I can still hear the gusto of his rhetoric, the juiciness of his delivery, the orchestrated fluctuations of his rhythms. I still hear him telling me that no matter where he was he had to swim every day of his life "just to fee-yul [deep diphthong] aliivvve? Yuh knowww?" Even his famous laugh - three short staccato barks - belonged only to him. Marlon Brando had pointed out to him, "You used to laugh heh, heh, heh, and now you laugh [pitching his voice a precise octave higher] Hee, hee, hee." To which he had replied, "Of course my laugh is higher. It stands to reason. I am older and more nervous." Tennessee's voice, with its Southern upward inflections at the end of a sentence, seemed to be pausing to give you the opportunity to agree or disagree. Hemingway's pronouncements were strictly ex cathedra. It was rather as if Tennessee, as Everyman, proposed, while Hemingway, as God, disposed. During the time I knew Tennessee I never heard him disparage a fellow writer. Indeed he seemed to be more interested in praising those he admired, like Pinter and O'Neill and Beckett. In this connection, and going forward in years to 1967, I am reminded of him taking me up to his apartment in a high state of excitement to hear "the most original, the most beautifully poetic album of songs" he had ever heard. It was the Beatles' Sgt Pepper's Lonely Hearts Club Band. In Hemingway's work he found much to admire too. "He writes about the quest of honour among men," he said in my presence. "I know of no quest more dangerous than that." Much later, in Clothes For A Summer Hotel, Tennessee would give these words an ironic twist in a powerful scene between the "ghost" characters of Hemingway and Scott Fitzgerald, which climaxes when Hemingway reveals to the latter that some day he'll write about a man who will be, "completely you Scott, and it will appear, this portrait of you, in my last work A Moveable Feast. In it, aspects, embarrassing aspects of you, will be suggested clearly to the knowledgeable reader. You see, I can betray even my oldest closest friend, the one most helpful to me in the beginning. That may have been at least partly the reason for which I executed myself not long after... by blasting my exhausted brains out with an elephant gun . . ."
Hemingway did not give me his assessment of Tennessee's work but he was certainly, by any standards, a harsh critic of his contemporaries. Lest these words appear judgmental, let me quickly add that in the Quality Lit Game, as correctly played, savaging one's competition is considered not only acceptable and legitimised by tradition - but fun. Hemingway, however, may have been too enthusiastic a player. Dawn Powell, whose writing Hemingway admired - he once said to her, "You are the best woman writer I know and I don't mean woman writer" - told me she had stacks of letters from him she wanted to sell, she badly needed the money. "But I wouldn't dare to," she sighed. "He said such really awful things about other writers." One balmy tropical evening in Havana, after drinking Papa Dobles at the Floridita as we dined with Papa and Miss Mary at a restaurant high in the hills, Hem took deadly aim. Of Faulkner he said, "He is a sauce writer. You can smell the sauce coming off every page of his writing." He went on to equate what he considered Faulkner's failure as a writer with a bullfighter who performs 98 passes with a bull but doesn't know how to finish off the series. Graham Greene received these bullets: "He was going pretty good there for a while but now he's a whore with a crucifix over his bed." Reloading, he fired off another salvo at Greene for only spending 10 days in Havana before writing a book about it, getting everything wrong - mixing up all the street names and buildings and then trying to deflect criticism by calling it an "entertainment"! That right then and there in Havana the hilarious, hugely successful Our Man In Havana was being made into a movie, starring Alec Guinness and Noël Coward, may not have improved Hemingway's temper. Yet he praised Isak Dinesen highly, and with genuine fervour urged me to read Out Of Africa. About my novel he said, "I like the way your characters all speak differently," and then, quite casually, proved he could be as tough on himself as on others: "My characters all speak the same because I never listen." Some days before, we'd had lunch at Hemingway's finca and he showed us around. At one point he stopped in front of a door and when he opened it I was confronted with the strange sight of a room filled with letters still in their envelopes. It contained no furniture; there was nothing but the letters, fan mail from around the globe. They seemed to spill out of the room. I swear you could not enter without wading waist high through them. "Don't you read them?" I asked. "I can't," he said. "I wouldn't get any work done." Something about the way he looked at all the letters held my attention. Perhaps some vague moral duty to read and answer them nagged at him from time to time, so he kept them but didn't open them. He's protecting his talent, I thought. It was the first time I had put it in those words. Something in me shifted and I vowed hereafter not to make value judgments on how people of extraordinary talent should or should not be conducting their lives - a vow I did not always keep. Age and success had not mellowed either Hem or Tenn. Instead it had increased their need to gratify their appetites. It seems to me that each assumed a public persona close enough to his interior self so that he could feel comfortable with it. Hemingway's persona had undergone a sea change in the postwar world. Shifting from his belligerent heavyweight boxer stance, he had begun to call himself Papa. By 1950 he was bearded and his hair was grizzled, and by 1954, at 55, his hair and beard were white and he resembled an Old Testament prophet. Inwardly he had cast himself in the iron mould of Colonel Cantwell in Across The River And Into The Trees, the paterfamilias of the world, who knew more about everything than everyone and did everything better than any one else. Thus Hemingway spared himself the humiliating uncertainties of a mid-life crisis by leaping from virile youth to wise old age. While Hemingway donned his Michelangelo robes, Tennessee donned the motley. The cap and bells he assumed were those of long standing. As Tom, his alter ego in The Glass Menagerie, he explains it was a role conferred on him by "the only one in the warehouse with whom I was on friendly terms". This friend, whom he calls Jim O'Connor (whose real life name was Jim Connor), "called me Shakespeare. And while the other boys in the warehouse regarded me with suspicious hostility he took a humorous attitude toward me. Gradually his attitude began to affect the other boys and their hostility wore off. And so, after a time they began to smile at me too, as people smile at some oddly fashioned dog that trots across their path at some distance." This, with certain amendments, innovations and adjustments arising from the power invested in him as our premier playwright - he could, without warning, harden into steel - was the basic personality in which he felt at home. To be regarded humorously as an "oddly fashioned dog" - or a sort of idiot savant - was something he had decided from youth upwards was the best way for him to get along with people. It fitted his floating walk and abstracted air and finally it became his way of fending off people's importunities and their envy. All I can say is that it worked. Hemingway, in order to protect his talent, demanded in his leisure hours a kind of willing sycophancy from people - needed it, craved it, enjoyed it, revelled in it. I have seen quite well-known people sitting at his feet. On the surface, his Papa/daughter gambit was a playful conceit: a wise, loving Papa and his well-loved daughter. But it was also a relationship that implied, because of the biological roles assigned, that the daughters would be forever adoring and submissive, would always listen agog as he recounted his war stories, exclaiming at the end, "Oh, Papa, you're wonderful!" rather than saying, as a son might, "Hey, Pop you're full of it." Tennessee, on the other hand, asked nothing but that you be yourself. Though yourself had better be colourful. And yourself had better be honest. Tennessee was suspicious of sycophancy, disliked it, detested it. When the playwright Peter Shaffer fell to his knees before him and kissed his hand, he responded by telling him to rise, saying coldly, "Peter, you are up to no good." I have heard him reduce a well-known actress to tears at a party as he berated her for her fulsome adulation. "I am so tired of your insincere praise. I am so tired of you calling me up the morning after every one of my flops raving about the play when all I want to do is just to be left alone. Go away, will you?" He made demands on his own honesty. When he had met Princess Margaret at Gore Vidal's 50th birthday party he said to her politely, "I'm afraid we can't talk to each other, ma'am, because we live in such different worlds." What world did he live in, she wanted to know. "Are you acquainted with the opera La Bohème, ma'am?" he said. "That's my world." His world as I knew it was redolent of lunches on Hal Wallis's yacht, cocktails on Sam Spiegel's, and the high life and night life of Rome with Magnani, Visconti, Zeffirelli, Fellini and assorted members of the Dolce Vita set. It was hardly the world of unknown artists starving in garrets, yet when he talked of La Bohème I think it was in remembrance of a world he lost - and deeply missed, one of artists among artists, filled with all the passion, excessive romanticism and idealism he had once experienced with the little St Louis theatre group called the Mummers, about which he has so feelingly written. One thing Tennessee did ask of me was to call him by his rightful name, Tom, but there was no penalty involved if I forgot and slipped back into the more familiar Tennessee. I was not drummed out of the club, as I might have been with Hemingway had I failed to call him Papa. In '61 I spent a day with Tennessee in Madrid that was not without incident. We were staying at the same hotel and had planned to meet at noon. He called me at ten that morning. He was about to be interviewed by a Spanish critic and he wanted me to turn up at his room at 11.30 on the dot. "So that when the man sees you he becomes aware I have other things to do today, you know?" When I arrived there was Tenn - having discarded the idiot savant pose in favour of the real savant that he was - winding up an astute analysis of Arthur Miller as a Northern and classic playwright, in the manner of Ibsen, as opposed to himself as a Southern and romantic one, in the manner of Lorca. Smoothly, he rose to greet me. Smoothly and politely, the Spanish critic was thereby dispatched. A rich businessman had invited Tennessee and me to his house for lunch and a swim that day. The Japanese ambassador and several diplomats would be there and were eager to meet him. About half an hour into the occasion Tennessee suddenly pulled me over to him and said, "I want you to hear what I'm going to say." Having been engaged in conversation with the ambassador and his emissaries, he turned back to them, his voice steely with rage: "I have been trying to hold a literary conversation with you. I have tried several times to talk to you about the Kabuki theatre which I admire. I have tried to talk to you about your brilliant director Kurosawa, and about that fine Japanese novel The Key, which I have recently read. But all you want to talk to me about is which bullfighter is homosexual. You are extremely rude." And then, turning to our host severely: "And you sir, have been listening to all this and have done nothing to stem the interrogation which you saw was so distasteful to me. Come on, Elaine, we're leaving." In the car he said, "If the rich and powerful aren't kind and well mannered they're just vulgar." He was in the midst of strangers and they should have treated him with kindness. 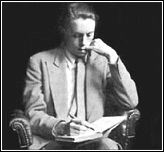 I do not believe he could have written that most famous of all his lines - about depending on the kindness of strangers - had he not spent long periods on the Mississippi Delta in Clarkesdale with his beloved grandfather, an Episcopalian minister. Not since Homeric times has a people placed such emphasis on kindness to a stranger as in the Deep South. It is not only thy neighbour who must be loved as yourself but the stranger as well. They seemed poles apart, Hem and Tenn. But were they? In certain significant ways they were arrestingly alike. At important points of their lives they each chose Key West as the place in which to house their talents and write many of their major works. As can be seen by their novels and plays, Hemingway and Tennessee also shared a mutual love of Italy and Spain and were profoundly influenced by Latin culture. Both were attracted to the Catholic church. Both had domineering mothers - that's no news. Both were second children with older sisters. What I find most interesting is that they both had grandfathers they were proud of and fathers of whom they were eventually ashamed. The simple fact of Hemingway's both being officers in the Union Army fired young Ernest's imagination to the extent that he vastly exaggerated their brave exploits to his schoolmates. And by the same token, Tennessee's oeuvre, filled with religious symbols, can be accounted for by the fact that young Tom from childhood had accompanied his grandfather, the Reverend Walter Dakin, in his duties as he went among his parishioners. It was these grandfathers, it seems to me, who inspired the young boys with a sense of purpose that went beyond everyday existence, an ideal of service with all its noblesse, pitfalls, betrayals, sacrifices and glories. In Hemingway's case the ideal was the military; in Tennessee's the spiritual. And finally they met that April in Havana. Ken and Tenn and George Plimpton (also in Havana at the time) have all written about it, each seeing it from his point of view. 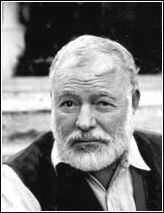 From my own notes I recall that Ken said to Tenn at the Hotel Nacional, "We are going to have lunch with Hemingway. Have you met him?" Tenn said that George Plimpton was arranging for them to meet. "I - ah - gather he is not overfond of people of my persuasion," he said, then with that upward inflection, "but I hear he's very courteous?" I said, "Yes," which was true, and added, "but he can be fierce," which was also true. I was remembering some remarks made to me by Hemingway in Spain that could definitely be construed as homophobic. Specifically Hemingway had told me of an incident that took place on an ocean liner when a famous actor, Frank Vosper, a homosexual, went over to Hemingway's table with the idea of joining him for a drink and Hemingway smashed his glass "to indicate that I did not wish to drink with a pederast". The evening before the meeting I tested the waters on the subject by reminding Hem of our conversation in Spain. "I am for normalcy and against homosexuality," he said mildly enough, "because sexually there are infinite variations for the normal person but none for the homosexual one." This indicated to us that Tenn would at least not be subjected to a salutation of smashed glass. They met late one morning at the bar of the Floridita, Hemingway's favourite haunt - Hem and Tenn, George and Ken. I heard both Tenn's and Ken's versions of the meeting later that day, and I was to hear Ken's account of it many, many times, refined and honed and embellished to a brilliant set piece. I don't think Ken and I discussed any other two people as much as we did Hem and Tenn during our stay in Cuba - going over and over who said what exactly. And exactly what did it mean. Ken and Tenn's stories did not tally. At the time I favoured Ken's version because he imitated Tenn so wickedly, but I think now it was a mistake. It turned Tenn into a buffoon while Hem deadpanned caustic monosyllables and elaborately pulled his leg. Ken established his tone by describing Tenn as wearing a yachting jacket, as if to convince Hem that "although he might be decadent he was decadent in an outdoor way". In fact it was a navy blue blazer I had often seen him wear. George also commented on Tenn's costume, adding to it a yachting cap and white flannel trousers. Could Tenn have retreated for safety into his original persona and donned the motley? Or is it not probable that Tenn - however ludicrous the results seemed to the others - had decided to dress up for the occasion as a mark of respect? We know that he was not infrequently a guest on certain yachts and his gear must have been something he had to hand. In Tenn's version the meeting was a pleasure. He found Hem sensitive, gentle, and kindly disposed towards him. Besides the two of them agreeing that it was essential for a writer to keep his liver and kidneys in good shape if he wanted to stay the course, trading recipes to help achieve this goal, the main topics of discussion were: Key West and its landmarks and how it had changed; Hem's late wife Pauline, who had been a friend of Tenn's; and the bullfighter Antonio Ordonez. In Ken's version Tenn told Hem he had met Ordonez and found him a fine young man, personable and charming, to which Hem responded all mock innocence, including the other two, with, "Do you think we would like him?" And Tenn, with genuine innocence, assured him that they would. Tenn's version, which appears in his memoirs, states that he told Hem he knew nothing about the technical aspects of bullfighting but he had become friendly with Ordonez, whom he liked very much, and Hem replied that he was glad Tenn liked him. I give Tenn's version the edge simply because in 1959 anyone not having heard of the much publicised friendship between the bullfighter and Hem would have had to have been living on the moon. Tenn's demeanour may have suggested that he visited the moon from time to time, but his mission was Broadway, and he loved the gossip columns. And, like all celebrities, he kept a close watch on the doings of his peers. Further, at that meeting it transpired that Ken asked Hem to write a note of introduction for him to give Castro as he had an appointment to meet him that afternoon. Tenn said he wanted to meet him too. In Spanish, Hem scribbled to Castro his introduction to "the English journalist Kenneth Tynan" and "the great North American playwright, Tennessee Williams". Reading that must have told Tenn something. Second, in Ken's account of the meeting he has Tenn inquiring if Hem's wife Pauline had died painfully. (She died in 1951 away from Key West, where Tenn had known her.) Ken takes Hem's reply - "She died like anyone else. And after that she was dead" - as a rebuff to Tenn, though it could just as easily be argued that Papa was merely being Papa. But Tenn, upon reading Ken's version, immediately wrote to Hem to apologise if any remarks he had made about Pauline had offended him. That was a letter Hem did read - and answer. He assured Tenn that he had not taken offence. And finally, we must not overlook the profession of one of the participants of the meeting. Not two weeks before Ken, in his column in the New Yorker, had savaged Tenn's new play Sweet Bird Of Youth and Hem would have been aware that any day now he might feel the stab of Ken's pen. Is it not possible two authors would be more on the same wavelength, finding a fleeting sympathy, feel closer to each other then they would to their natural enemy, the critic? They never met again, which suggests these two shining celestial bodies were wrenched off course for one puzzling moment before resuming their parallel paths. But we are told parallel lines do meet in space. Therefore I think Hem and Tenn did meet once again, in their work. Our two legends were drawn to another legend, a woman who fascinated them both. 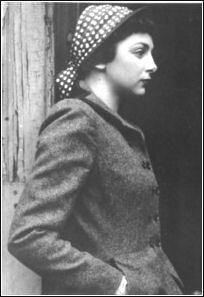 She was a real woman and - although she primarily belonged to yet another and equally famous writer, F Scott Fitzgerald - they each appropriated her for their own use. Their treatment of her is significantly different. In The Garden Of Eden (another of Hemingway's posthumous works) he creates a wife crazily bent on destroying her writer husband. In Clothes For A Summer Hotel (Tennessee's last Broadway play) he creates a wife who has been driven crazy and destroyed by her writer husband. Hem called his woman Catherine. Tenn called her by her rightful name - Zelda. Dead Hemingway and dead Tennessee are now both respectable United States postage stamps. Late in his life, Tenn said to an actor appearing in one of his last (and badly received) plays, in reference to the audience sitting out front: "They can't wait for me to die so that they can commemorate me." I wonder if Hem didn't sometimes feel like that too. This is an edited extract from Life Itself! by Elaine Dundy, published by Virago Press (June 21, 2001).